This is a very interesting math equation puzzle question. In this math puzzle question, you will be shown some equations. Variables in these equations are represented by fruits. 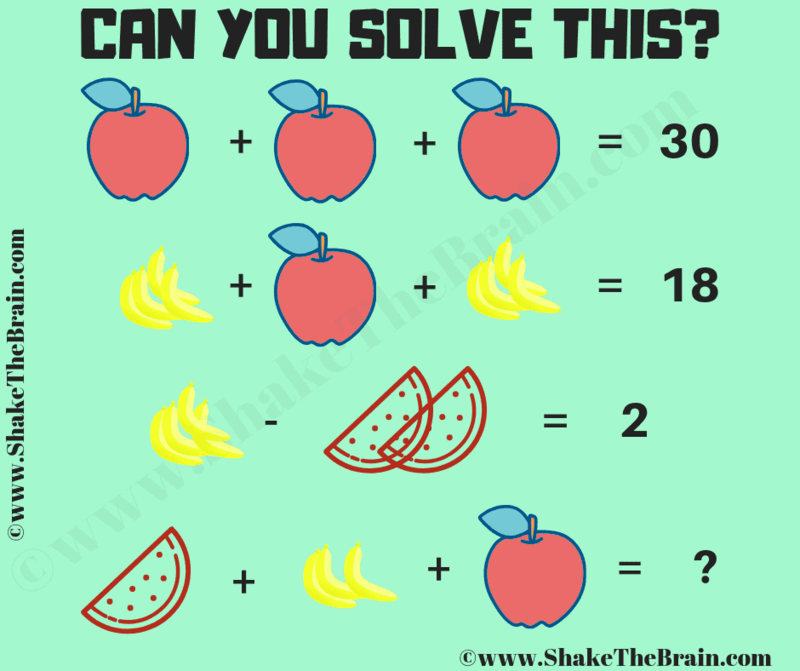 Your challenge is to solve these math equations to find the values of these fruits and then solve the last equation to find the value of the missing number which will replace the question mark. 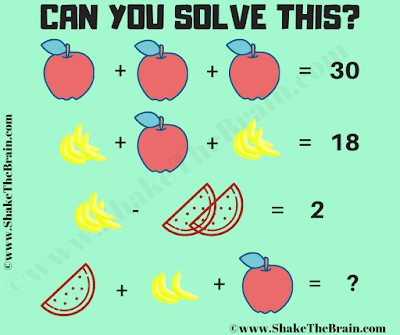 Answer of this "Math Equation Puzzle Question", can be viewed by clicking on the answer button. Thanks for asking the answer to this math equation puzzle question. Puzzle Answer is provided now along with detailed explanation.